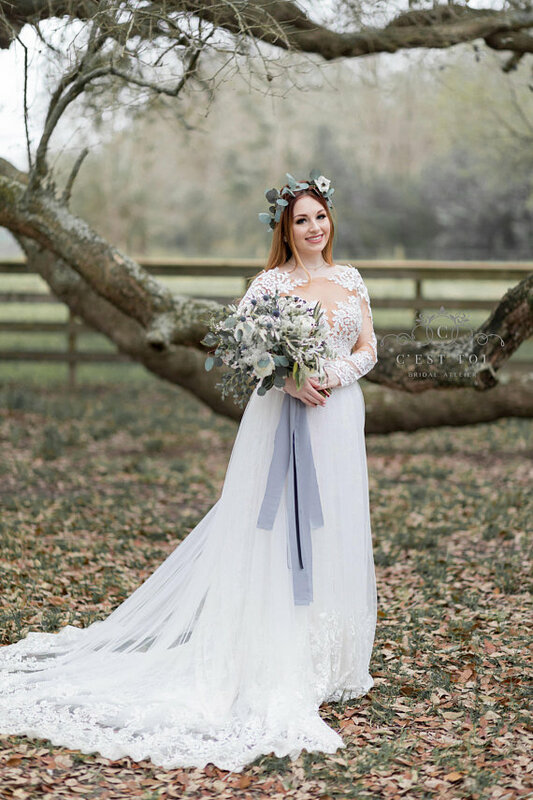 The bridal bolero, wedding cape / capelet, and wedding shrug are all the biggest trends for fall and winter weddings. Wondering why? That’s easy: a bolero makes it easy to add an additional layer of warmth. Plus, lace, tulle, sequins, or embroidery can really make your wedding dress stand out on your big day. For some, a bridal bolero is a must-have for a traditional ceremony, if you need to cover your shoulders (or simply prefer the look). Today we’re sharing nine hand-picked (handmade!) 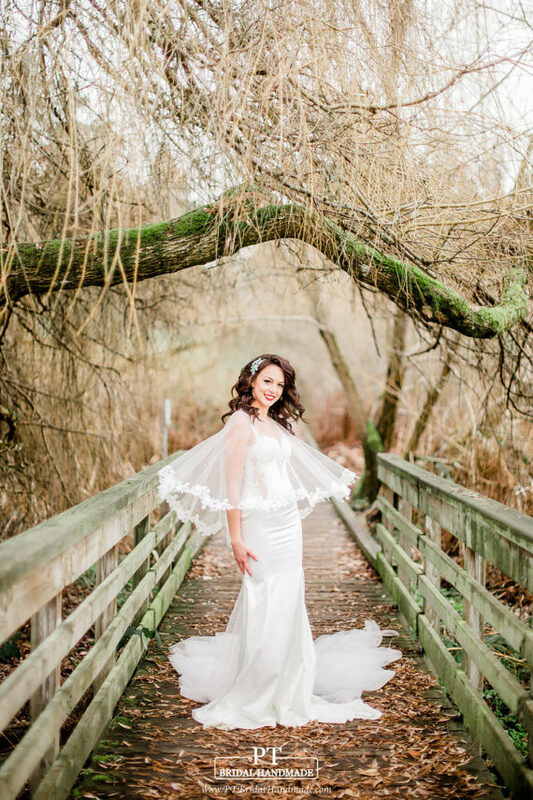 wedding bolero styles we know you’ll adore as much as we do, including picks specifically for winter (hello, cozy shrugs!) along with a cape and capelet to show you the difference in styles. We want to know — which bridal bolero is your favorite? Are you wearing one? Tell us in the comment box below! Such an elegant way to tie embroidery — one of the season’s hottest trends — into your wedding style. By VICTORIASPIRINA. This bolero is a fantastic style for late fall or winter weddings. It will keep you and your bridesmaids cozy! By MODA Crochet. Love these pretty gold polka dots on this tulle bridal bolero. By Mimetik. This is a cozy and warm faux fur cape. By BHLDN. Such a shimmery way to keep warm! By Kulayan. Click here to see the sequin inspiration. This is such unique accessory piece! By BHLDN. And of course, it is ethically sourced, based on their website. If a beaded capelet is what you’re after, check out GibsonBespoke. There’s a bunch of them to love, like this one I’m going crazy over. Want to add a layer to your strapless gown? Add this lace and tulle bolero! By Cest Toi Bridal Atelier. This is more of a cape, but we had to include it! So pretty! By PTBridalHandMade. I really love the tie on this and the cozy almost-like-a-cardigan feel with this; could it be the coziest sweater ever? I think so! By Ivy & Aster. Want to buy a bolero shown here? Click on the photo of the one you like (or the link directly beneath it) to find out pricing and to buy now. You’ll also find shrugs, wraps, and more in The Marketplace, exclusively at Emmaline Bride. RELATED: What is a Blusher Veil?